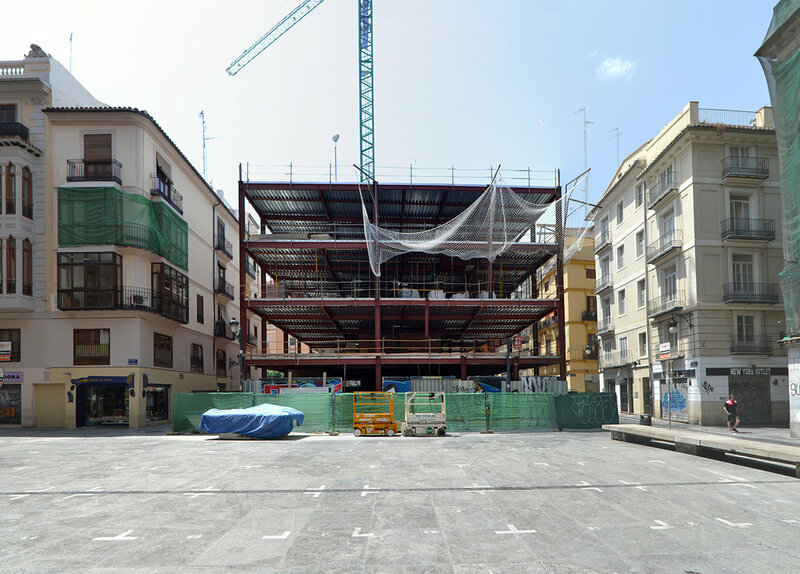 The Carmen district is a marvellous portrait of Valencia’s history. In this area, once surrounded by medieval walls, we find architecture of the most varied style: Roman, Arab, Gothic, Baroque, Modernist… Today, its tight alleyways are populated by yet another eclectic mix of commerces from the local and authentic little old shops to the newer trendy hospitality and retail. 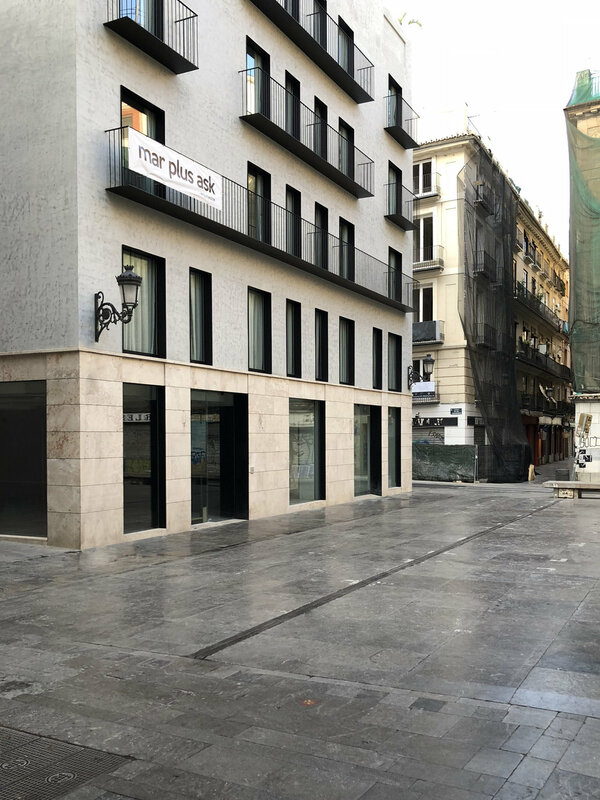 Plaça Merced is a sunny square in the middle of this very exciting cluster, few steps away from the modernist Central Market and the Gothic building of La Lonja. 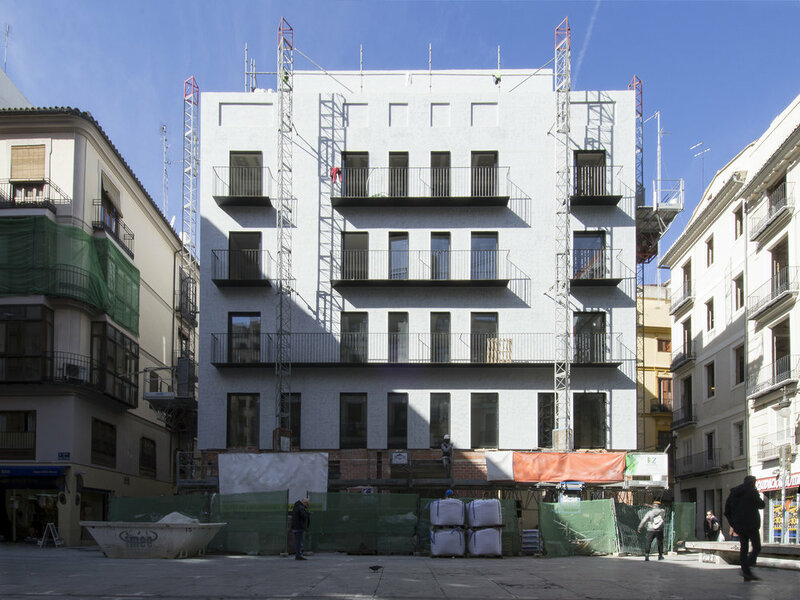 An existing plan for a new six story building in this square was taken over by Luengo Architects who adapted it to host a hotel and prepare it also to serve as housing in the future. 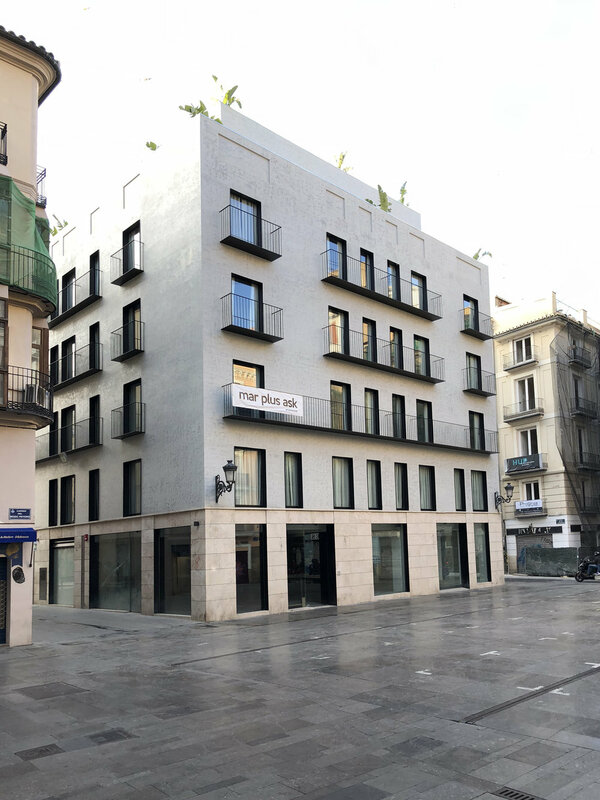 Our office intervened to adjust the proposal to the city’s historic surrounding and optimise the spaces to host the hotel. 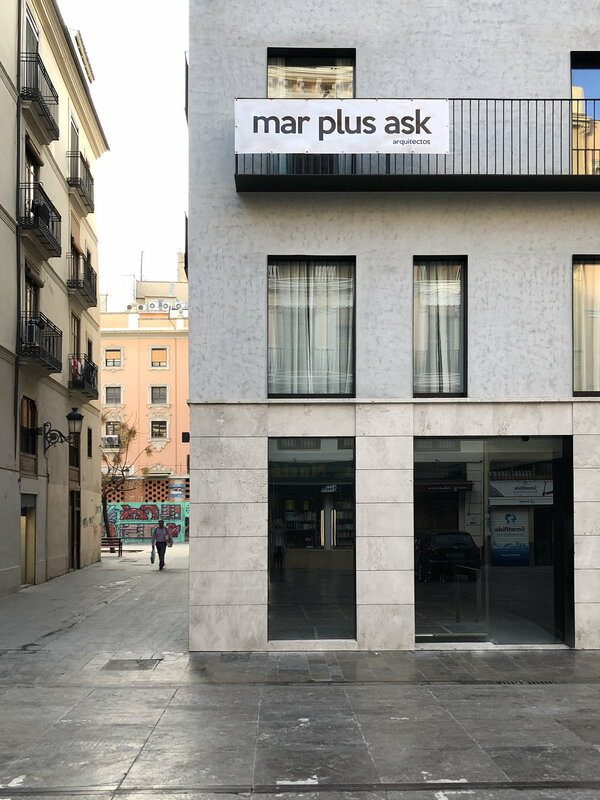 The imperative conversation between the new construction and the city starts with a ground floor on Valencian cream coloured stone in the style of the area; bush-hammered and brushed. The rhythm of it’s openings relates to the flows of each of the streets. The main access leads to a generous lobby from where the restaurant and spa can be accessed. A reception acts as second filter before the private spaces of the hotel clients begin. 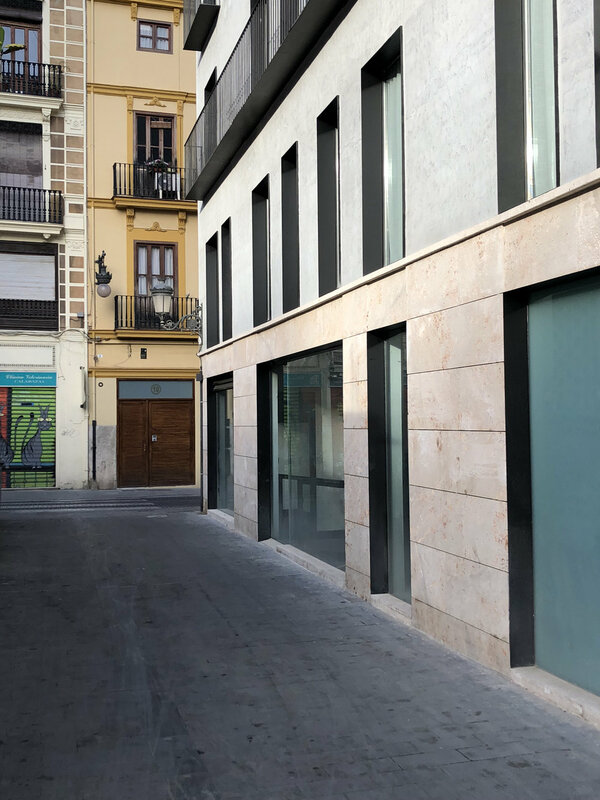 The four facades are rendered in stucco above the stone base, recalling the surfaces of remarkable Valencian buildings like Palau de los Boïl d´Arenós built by the arab king Zahen and later inhabited by Jaime I, the christian conqueror. This soft glossy finish dulcifies the massive geometry. The building remains bold though in it’s fenestration with simple windows framed in black steel and the thinest possible balconies. It’s not there to call attention, but it will stand with grace and pride.